I think this dates to the Spring 1932 presidential elections, but I’m not absolutely sure. The caption: ““Workers of the mind and hand! 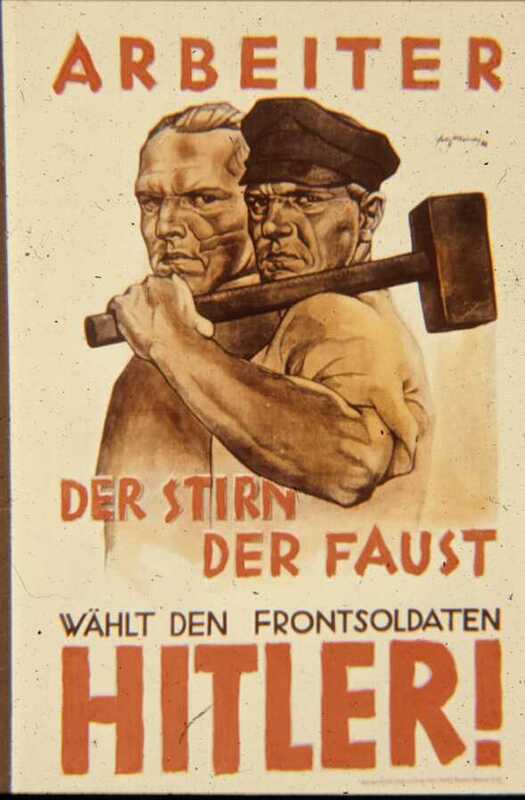 Vote for the front soldier Adolf Hitler!” Courtesy of Dr. Robert D. Brooks.